Fulfilling your duty is the truth. Fulfilling your duty in God’s house is not simply fulfilling some obligations or doing something you should do. It is fulfilling the duty of a created being living between heaven and earth! It is fulfilling your obligations and responsibilities before the Lord of creation. These responsibilities are your true responsibilities. Compare fulfilling the duty of a created being with being filial to your parents—which is the truth? Fulfilling the duty of a created being is the truth; it is your bounden duty. In performing your duty you must first seek out God’s requirements. Performing your duty is not selecting your personal preferences or doing whatever you would like to do, and it is not doing whatever you are happy and comfortable doing, or whatever will make you look good. If you forcefully impose your preferences on God or practice your own preferences as if they were the truth, observing them as if they were the principles of the truth, then isn’t that wrong? That is not fulfilling your duty and performing your duty in this way will not be remembered by God. Man doing his duty is, in actuality, the accomplishment of all that is inherent within man, that is, that which is possible for man. It is then that his duty is fulfilled. The defects of man during man’s service are gradually reduced through progressive experience and the process of his experience of judgment; they do not hinder or affect man’s duty. Those who cease to serve or yield and fall back in fear of the defects that may exist in service are the most cowardly of all men. If man cannot express what he ought to express during service or achieve what is inherently possible for him, and instead fools about and goes through the motions, he has lost the function that a created being should have. This kind of man is considered a mediocre nonentity and useless waste of space; how can one such as this be dignified with the title of a created being? Are they not entities of corruption that shine on the outside but are rotten within? There is no correlation between the duty of man and whether he is blessed or cursed. Duty is what man ought to fulfill; it is his bounden duty and should not depend on recompense, conditions, or reasons. Only then is that doing his duty. A man who is blessed enjoys goodness upon being made perfect after judgment. A man who is cursed receives punishment when his disposition remains unchanged following chastisement and judgment, that is, he has not been made perfect. As a created being, man ought to fulfill his duty, do what he ought to do, and do what he is able to do, regardless of whether he will be blessed or cursed. This is the very basic condition for man, as one who seeks after God. You should not do your duty only to be blessed, and you should not refuse to act for fear of being cursed. Let Me tell you this one thing: If man is able to do his duty, it means he performs what he ought to do. If man is unable to do his duty, it shows the rebelliousness of man. What duty should each person perform? The duty that each person ought to perform is the truth that he ought to practice, and the truth that he ought to practice is the duty that he ought to perform and the obligation that he ought to fulfill. If you practice the truth that you understand and that you ought to practice, then you will have properly fulfilled your duty. If you do not practice the truth, then you are not fulfilling your duty. You are messing around, you are fooling God, and you are just being slipshod with God. So, the performance of your duties must necessarily be coupled with the truth, it must be closely connected to the truth. You must put into practice all the truths you understand and live out the reality of the truth. To live out the reality of the truth is a representation of man’s true image. When God created man, it was based on this image, so if you live out the image of the truth, you will satisfy God, God will be pleased when He looks upon you, He will bless you, He will give you eternal life and He will let you live forever. But if you don’t live out the image of the truth, then you are not worthy to be called human, and when God looks upon you, He will think you have none of the breath of life that God has bestowed upon you, and such rubbish He will eliminate. So, when you believe in God, you ought to experience and practice the truth that God has bestowed upon humanity, and ultimately you ought to live out the reality of God’s word. This is performing your duties. … If the truth is absent from your duties, then you are not truly performing your duties, but are instead being slipshod, false and deceiving, and you are just going through the formalities, you are just following procedure. You must practice the truth while performing your duties—only this is truly performing your duties, only this is performing your duties up to standard, and only this is possessing the reality of being human. When you are performing your duties, you are already practicing the truth. Whatever piece of work you do within the church involves practicing the truth, and when you are practicing the truth you are fulfilling your responsibilities, your obligations, and this is your duty, so you must perform it well. This is what we mean by practicing the truth. So what is the true relationship between performing your duties and practicing the truth? They are two different ways of interpreting the same thing. From the outside, it looks like a duty being performed, but in essence, it is the truth being practiced. So, if you do not understand the truth when you perform your duties, will you be able to properly carry out your work? You will not. First of all, you will not have a clear understanding of what it means to perform your duties, or how to properly perform your duties. Secondly, a day will come when you do have a clear understanding but you will still fail to properly perform your duties, they will still be full of mistakes. At this time, you will discover that your disposition is too corrupt, that you have a lot of shortcomings in the things that you do. You will then start to pursue the truth in order to get rid of this corruption, and once you do get rid of it and understand the truth, you will start to effectively perform your duties. At this time, you will perform your duties rightly and properly, not just in name, but also in reality. If you possess the truth while you perform your duty, if not a single bit of corruption is expressed while you perform it, then due results will be achieved in your performance, and you will also have practiced the truth up to standard. This is absolutely true. So, whenever you are performing your duties, how you pursue the truth is very crucial. If you do not pursue the truth, then it is guaranteed that the performance of your duties will not be up to standard. Previous：How should one practice and enter into being an honest person? Next：What are the differences between doing one’s duty and rendering service? What are the differences between doing one’s duty and rendering service? It is always through the process of doing his duty that man is gradually changed, and it is through this process that he demonstrates his loyalty. As such, the more you are able to do your duty, the more truths you shall receive, and so too shall your expression become more real. ...Doing service is done for the sake of obtaining blessings and being enthusiastically faithful. What exactly is the connection between doing one’s duty and pursuing the truth? What does doing one’s duty have to do with achieving salvation? 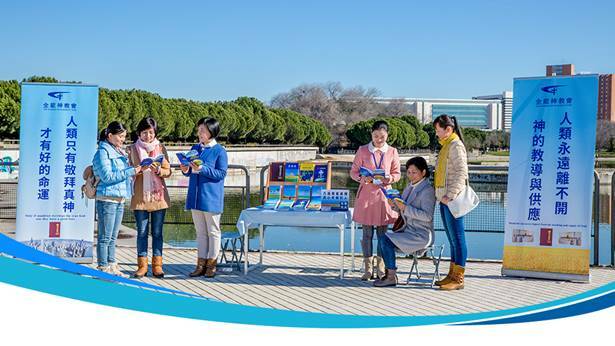 The Hymn of God's Word "To Bear Witness for God Is Man's Duty"